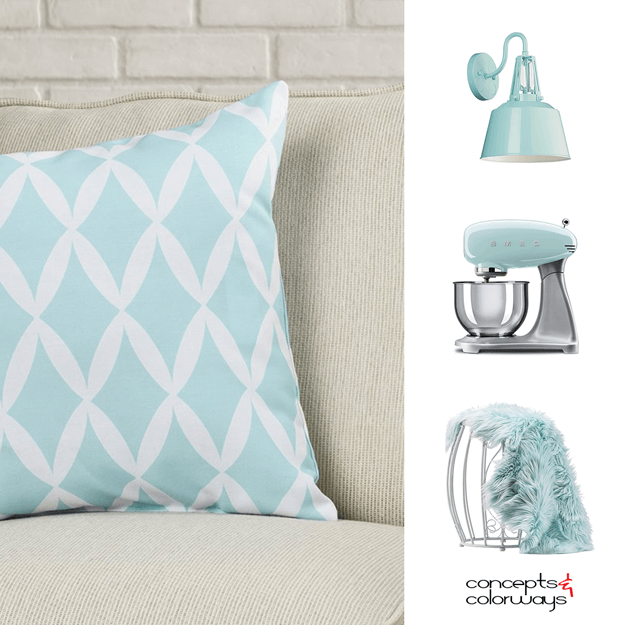 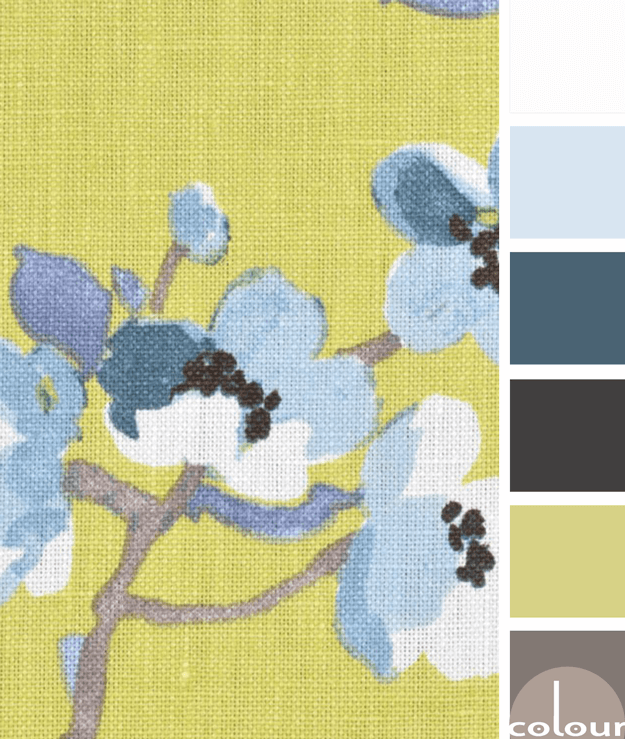 The ‘Green Tea’ color palette is a cheerful one with a beautiful balance of chartreuse and teal blue. 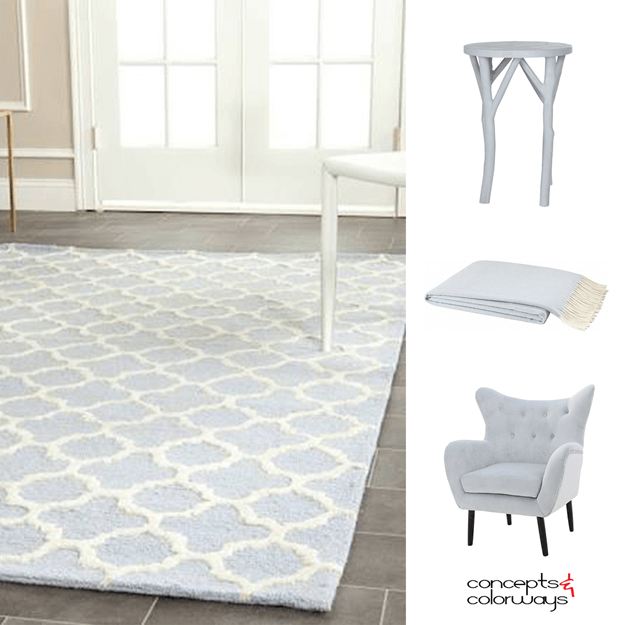 This combo is inspired by a floral print fabric that would make a beautiful inspiration piece to build a design from. 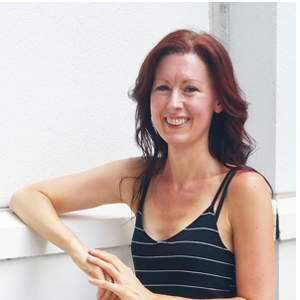 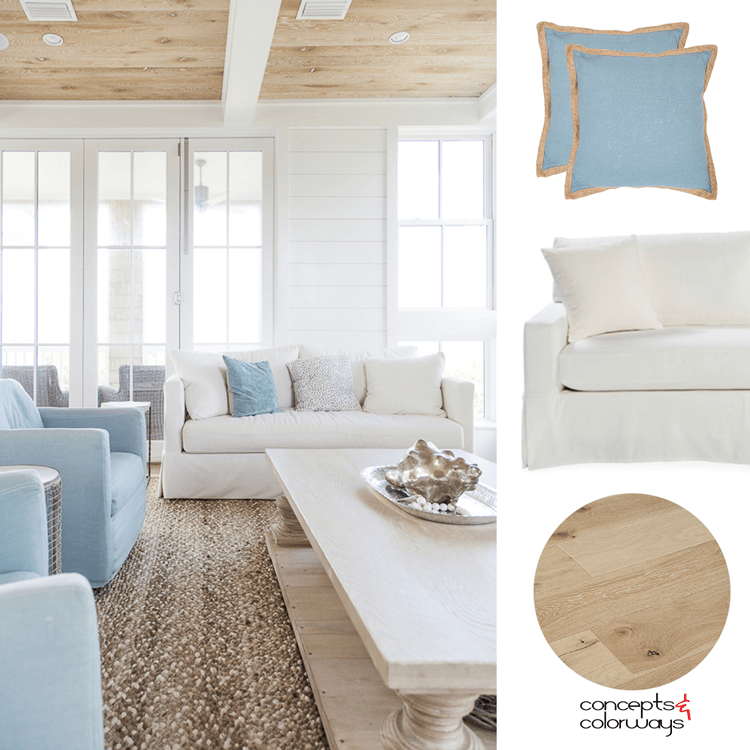 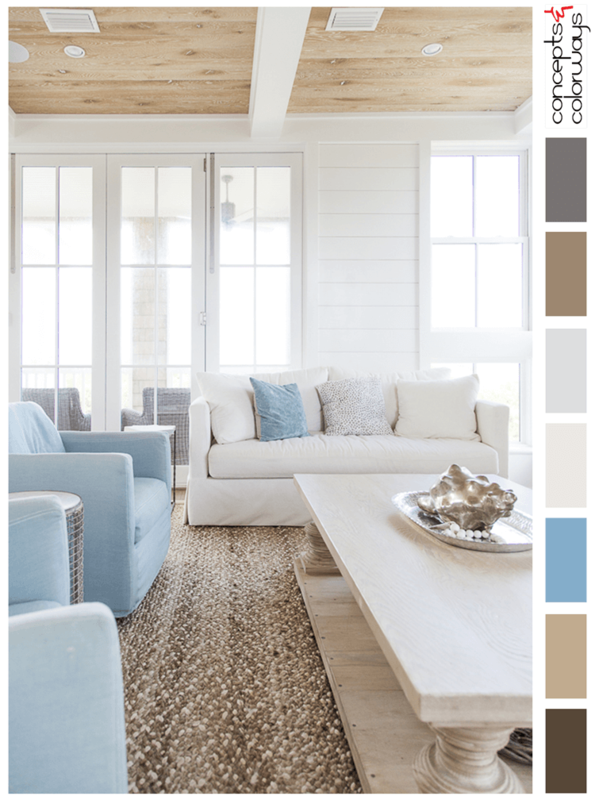 The full color palette is a gray-brown, chartreuse yellow, black, teal blue, sky blue and cottony-white….